This article was written to help steer the consumer away from the purchase of fake CBD oil products. Hemp products have flooded the market recently. People are going on line to find out more about the natural healing qualities of CBD oil and other hemp products. This is a “Golden Age” for natural remedies finally getting the attention and the accolades they deserve. There is only one problem, with the rise in the popularity of hemp-based products unscrupulous individuals are now getting in on the action. This article will help arm you as a consumer, that you are purchasing genuine hemp products. For the purposes of this discussion we will be narrowing the general hemp products to a discussion of CBD oil/tincture since this seems to be the most popular item to counterfeit. 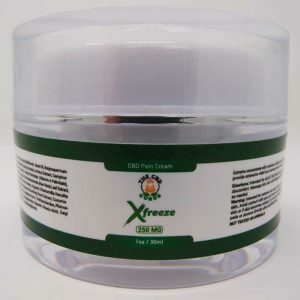 CBD or Cannabidiol is extracted from industrial hemp plants. There are many healing properties associated with CBD. It reduces anxiety, arthritis, stress, inflammation, chronic pain and even the frequency of epileptic seizures. It will not get you “high” or make you fail a drug test because it lacks the psycho active ingredient THC that you find in marijuana. If you would like to learn more about the differences between hemp and marijuana click here. CBD tinctures are mostly consumed by putting a few drops under your tongue also known as “sublingually” or by putting a few drops into a beverage. Here is the danger, consuming ANYTHING from a disreputable company or individual opens up a person to UNKNOWN HEALTH CONSEQUENCES. Here at The CBD Gurus we want to help you protect yourself from these charlatans. We want to actually help you with your health not harm it for profit. With that in mind please use this information when shopping for all hemp products but especially CBD oil/tinctures, even if you don’t buy from us. If it is two good to be true, it usually is. If you find a product at price point that is exceptionally cheap, chances are there is a reason for that. Don’t risk your health to save a couple of bucks. 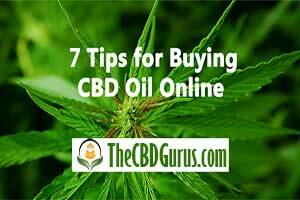 Here at The CBD Gurus we deal with a number of quality product manufacturers outside of our products, buying and selling near or below wholesale and passing that savings on to you. Having positive reviews on a site for the products can give you a general idea if the product has merit. Even negative reviews can mean that they are not editing out certain reviews. If they avoid telling you what is exactly in the product. That’s a bad sign. Even if they say, “Well it is a proprietary blend”. That’s ok, but a proprietary blend of what? You’re not asking for the recipe just what is ultimately in it. At The CBD Gurus we can tell you that all of our products are sourced from naturally grown hemp free of any chemical fertilizers, herbicides or pesticides. The process we employ for the extraction of CBD eliminates the need for using hash chemicals ensuring that our products are all natural. If they cannot say something similar, avoid purchasing their products. If they claim their product has CBD oil in it but it is not “pure” cannabidiol, do not buy it. Reputable manufactures will only use pure hemp oil in their products. Legitimate companies will have detailed mg per product information. This shows consistency in the product line. That way the consumer can actually gauge how much cannabidiol they are consuming. Reputable companies will have their products tested by an outside unbiased laboratory to prove their product claims of both purity and concentration. When they do this, they can claim “Certified Pure”. Don’t just take their word for it. They have to be able to prove it by making the results publicly available. Third party lab testing. This is good for everyone involved. It guarantees you are getting a quality product for your money and it provides the company with a satisfied and most likely loyal customer.